And Chanok lived sixty-five years, and begat את eth-Methushelach: 22 And Chanok walked with את eth-ELOHIYM after he begat את eth-Methushelach three hundred years, and begat sons and daughters: 23 And all the days of Chanok were three hundred and sixty-five years: 24 And Chanok walked with את eth-ELOHIYM: and he was not; for ELOHIYM took him. By belief Chanok was translated that he should not see death; and was not found, because YAHUAH had translated him: for before his translation he had this testimony, that he pleased YAH. The underlying text upon which most English translations are based of this text are found in the Greek. In the Greek, the word which is translated as translated is the word μετατίθημι metatíthēmi (G3346), which is generally interpreted as meaning to transfer, i.e. (literally) to transport, (by implication) to exchange, (reflexively) to change sides, or (figuratively) to pervert: to carry over, to change, to remove, to translate, or to turn. And when the kings returned they caused a census to be taken, in order to know the number of remaining men that went with Chanok; and it was upon the seventh day that Chanok ascended into heaven in a whirlwind, with horses and chariots of fire. And the book of Cepher Sirach actually uses the term translated, and appears to be the text which the author of Ivriym (Hebrews) is citing. Chanok pleased YAHUAH, and was translated, being an example of repentance to all generations. In the Greek this passage from the Septuagint reads in its transliterated form: Enoch eviréstisen kyrío kaí metetéthi ypódeigma metanoías taís geneaís. We see the similar use of the G3346 metatíthēmi (metetethimi) from which the later scribes would find the word Metatron – i.e., he who was translated. 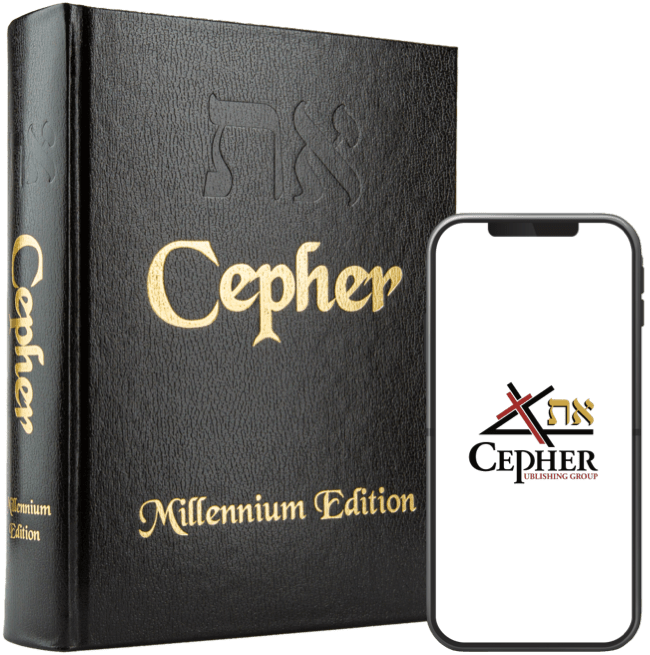 Such an understanding is consistent with the first witness from Cepher Sirach and the second witness from Cepher Ivriym, and the conclusions of Mosheh in both Cepher Bere’shiyth and in the Cepher Yashar. (עָבַר) (Strong's 5674) which is interpreted to mean: to cross over; used very widely of any transition (literal or figurative; transitive, intransitive, intensive, causative); specifically, to cover (in copulation): to alienate, alter, × at all, beyond, to bring over, or to bring through, to carry over, to convey over, current, to deliver, to do away, to enter, to escape, fail, gender, get over, (make) go (away, beyond, by, forth, his way, in, on, over, through), have away (more), lay, meddle, overrun, make partition, to make proclamation), perish, provoke to anger, put away, rage, raiser of taxes, remove, send over, set apart, shave, cause to (make) sound, × speedily, × sweet smelling, take (away), to transgress, to translate, to turn away. However, what the Strong’s does not give us is the exegetical understanding given to us directly in scripture, because Mosheh tells us that ELOHIYM took him, and Cepher Yashar tells us that Chanok ascended into heaven in a whirlwind, with horses and chariots of fire. What does it mean to be translated at least as that term is related to the disposition of Chanok? It means to be taken by ELOHIYM, to ascend to heaven in a whirlwind with horses and chariots of fire! And whose seed do not give (monster?) to the transition to Molek and do not profane eth the name of ELOHAYAK, I AM YAHUAH. We see in this verse the use of the word abir (with a few prefixes), although all references point to the word abar (H5674). We note here that the word abar (עבר) is the same spelling as the name Eber (עבר). Interesting how one means to translate or transition. Again, in this passage, we see the use of the exact same word abir (עביר), but in this passage, we do see the fire (באשׁ b’aysh), so the operative portion above reads to the transition a man’s sons or daughters in the fire to Molek. Which transliterated is l’h’abir eth-beni’hiym v’eth-benitaiym l’molek - To the transition sons and daughters to Molek. So, only in Melekiym Sheniy (2 Kings) do we find that the children are translated through fire. But they are nonetheless transitioned or translated. When you compare the word abar (אבר) to abir (אביר) we see the difference is the inclusion of the yod (י). This may give as significance that distinguishes a transition from a translation. What, then, does it mean, this instruction not to translate your sons and daughters in the fire to Molek? And, behold, there was lifted up a disk of lead: and there a fire sits in the midst of the measure. The word found in the passage is (אִשָּׁה) ishshah. The question is, is it Strong's 800, 801, or 802? Strong’s 800 (אִשָּׁה) ishshah means fire. Strong’s 801 (אִשָּׁה) ishshah means a burnt-offering; or a sacrifice made by fire. Strong’s 802 (אִשָּׁה) ishshah means a woman, an adulteress, a female, or a wife. For YAHUAH ELOHAYKA is a consuming fire (אָכַל - akole)(אֵשׁ - ish), even a jealous EL. Understand therefore this day, that YAHUAH ELOHAYKA is he which goes over before you; as a consuming fire (אָכַל - akole)(אֵשׁ - ish) he shall destroy them, and he shall bring them down before your face: so shall you drive them out, and destroy them quickly, as YAHUAH has said to you. For our YAH is a consuming fire. And Adam said: This is now bone of my bones, and flesh of my flesh: she shall be called Woman, (אִשָּׁה)(ishshah) because she was taken out of Man (אִישׁ)(ish). So ELOHIYM created man (אָדַם) in his own image, in the image of ELOHIYM he created him; male and female he created them. So, what was the image of ELOHIYM in the garden?